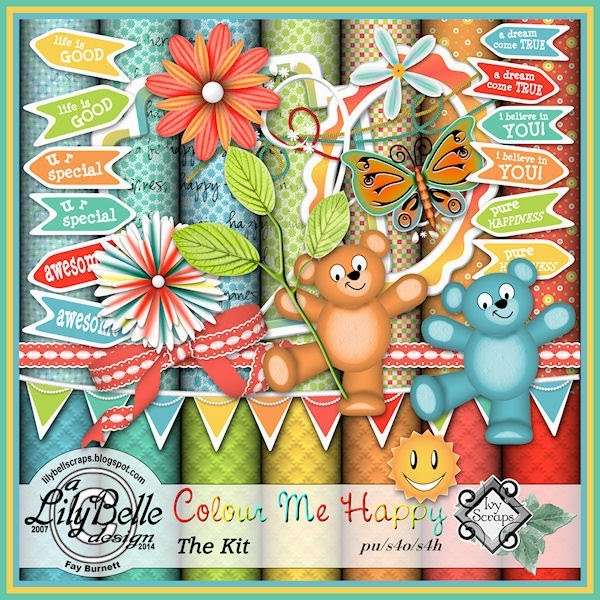 COLOUR ME HAPPY (22 papers, 31 elements, 5 clusters) is available now in my store for $1.50 – BUT - if you participate in the June Calendar and ATC challenges in Ivy’s forum you’ll be given the download link for COLOUR ME HAPPY just for participating. The quickpage in three sizes, shown below is FREE to download now as a sample for personal use only. Those are cute and you are very generous. I downloaded to get a better look. the texture looks great. I don't need them now, but will hang on to the download. I'm a new fan!